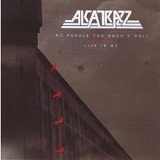 Alcatrazz is a heavy metal band formed in 1983 in Los Angeles by Graham Bonnet, Jimmy Waldo and Gary Shea. The band's initial line-up consisted of Graham Bonnet (lead vocals), Yngwie Malmsteen (guitar), Gary Shea (bass), Jimmy Waldo (keyboards, vocals) and Jan Uvena (drums, vocals). Shea And Waldo were previously members of the group New England. Uvena had worked with Alice Cooper. Malmsteen had recently come to the US and joined the band Steeler for one album. 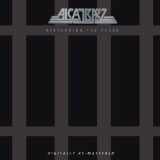 Alcatrazz's material was written by Bonnet and either Malmsteen or Vai, with Waldo co-writing on a few select tracks. 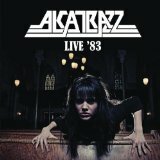 Shea dubbed the group "Alcatrazz".